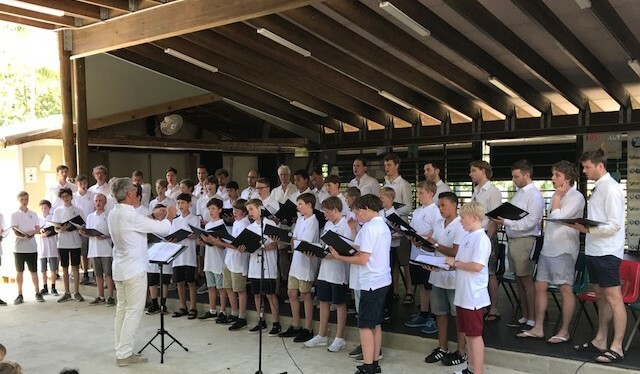 On Friday, May 5, VI Montessori School and Peter Gruber International Academy (VIMSIA) welcomed the world renowned Copenhagen Royal Chapel Choir — Københavns Drengekor — as part of the U.S. Virgin Islands 100 year anniversary celebration of Transfer Day. 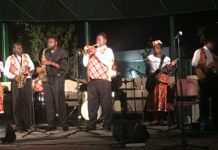 They performed a private concert in the music room for students, staff and parents. The Royal Chapel Choir consists of 50 boys ranging from ages 12 to 17. The audience was enchanted by their amazing vocals and presence. Among some of the oldest European musical traditions are the cathedral choirs and their choir schools. The Copenhagen Royal Chapel Choir is the only representative of this tradition in Scandinavia. Founded in 1924 by Mogens Wöldike, the choir quickly developed into a full-time institution with the boys receiving their general education alongside a full musical and vocal training in Sankt Annae Gymnasium, the Copenhagen Municipal Choir School. With a comprehensive repertoire ranging from commissioned works by the leading composers of our time to the earliest polyphony, the choir has gained a reputation for being one of the finest of its type and has received several high distinctions. The choir tours extensively and has given concerts in all parts of the world. It has taken part in many radio and television productions both in Denmark and abroad. Le Figaro has placed the choir alongside the Vienna Boys Choir and that of Kings College, Cambridge, as one of the finest in Europe. They work regularly with the Danish National Symphony Orchestra and have made many CD recordings.